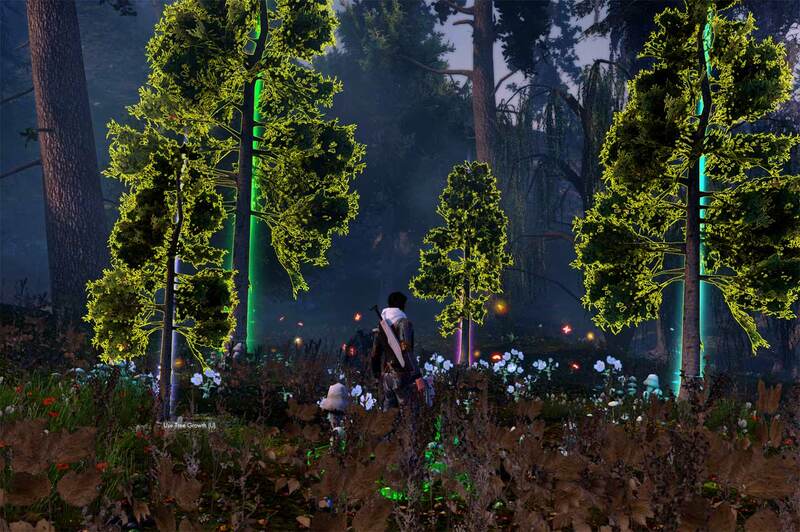 This mission will have you running around some of the more challenging areas of Shadowy Forest. I strongly suggest brining a friend or two to run mob interference. The mission starts with The Iele at Coordinates: (885,690), there is a prerequisite mission “The Wild Hunt” to take this mission. Objective: Draw The Iele’s Melody From The Stone. This will give you a music item in your inventory. (The Iele’s Melody), it will appear as a red musical note item. Objective: Use the Iele’s Melody to follow the singing stones. When you click the item in your inventory, look around for the glowing beacon to guide you to the next location. For each of the next locations, you need to be relatively close to the stone to activate the Iele’s Melody to guide you to the next locations. Continue to look for the beacon like pictured above, and beware of random things that wish to end your life along the path. Objective: Use the Iele’s Melody to rouse the stone circle. Click the item in your inventory to activate the circle. Then simply watch the patterns and replicate. Or see the graphic below. Objective: A new song is voiced. Recite it to the circle. 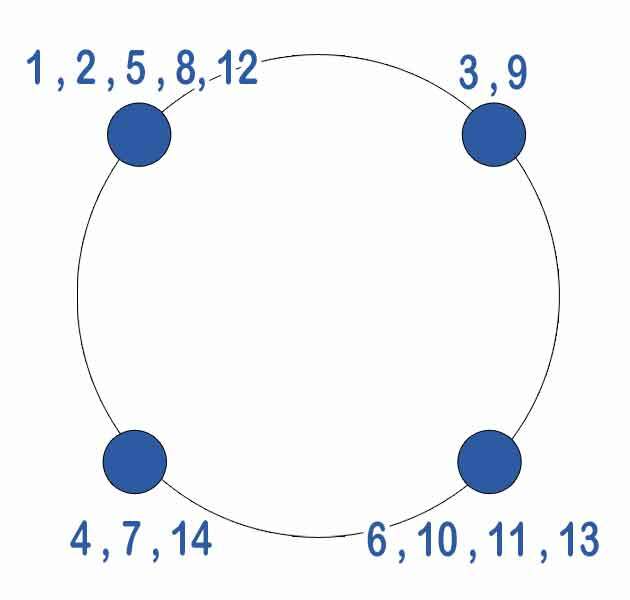 The goal as outlined below is to click the 4 stones in order from 1 – 11. Orient yourself like the screenshot above, and go to work! You need to be quick with this, if too much time passed between clicks, you’ll fail and have to start again. Objective: Draw the Melody of the Deep Glade From The Stone. Objective: Use The Melody of the Deep Glade to follow the singing stones. Much like the previous tier, you’re off looking for a new color of beacon. After fighting off annoying creatures, you should eventually arrive at your destination. 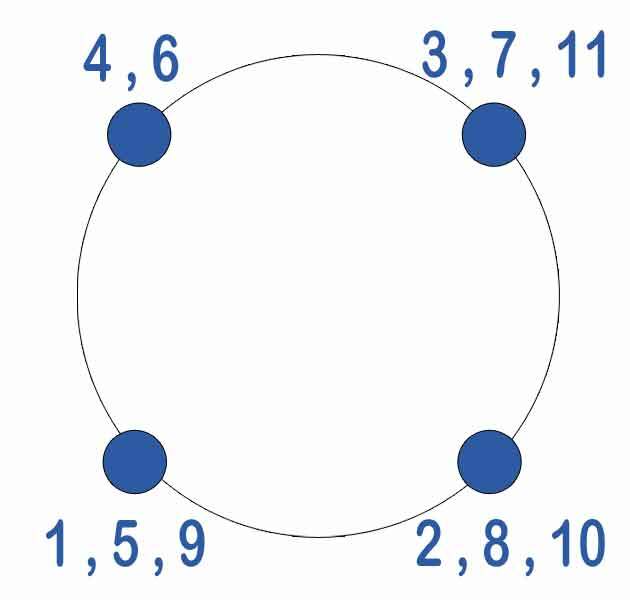 Same as the previous puzzle, just follow the pattern, or see the graphic solution below. This puzzle has 14 total steps to follow. Position yourself as in the screenshot above, then use the graphic below if you get stuck. Objective: Draw the Melody of the Shallow Waters From The Stone. Same as before, click the stone in the center of the puzzle to get a new mission item in your inventory. This is starting to look familiar, right? Use the Melody of the Shallow Waters in your inventory. And it’s time to go for a walk … This time, you’re looking for purple beacons to guide you. 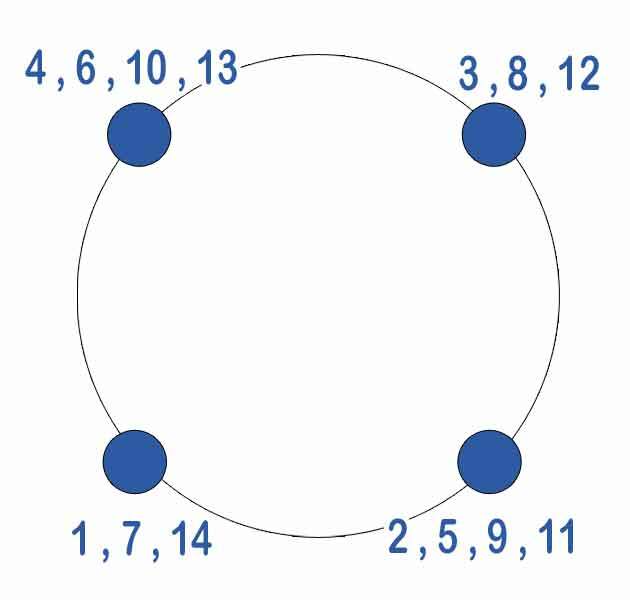 This puzzle has 14 total steps to follow. Position yourself as in the screenshot above, facing South East then use the graphic below if you need help. Objective: Draw the Melody of the Fallen From The Stone. Use the (Melody of the Fallen ) in your inventory, you’ll be following green beacons this time. Objective: Examine the lone carved stone. Now it’s time to figure this out. This is a music / audio puzzle. If you’re hard of hearing, have poor speakers, or are tone deaf, Funcom declares their continued hate and discrimination of you yet again! The goal is to click the stone in the center, and listen for the notes as they are played, matching them to the 4 melodies you have in your inventory. Once done, trees will sprout from the circle. You’ll need to click one to complete the mission. can i have your inventory? all them signets are purdy. They may have changed it. When we ran it, having done Wild Hunt was a requirement. So, if we can get anybody else to confirm (anybody? anybody?) we’ll modify the post! Thanks! Third stone still bugged on 2/5. That’s really unfortunate. But have you put in a petition? In-game support is really pretty good with these kinds of things. For the 3rd singing stones puzzle, the one you find by using the Shallow Waters melody, you said “Final Location, Coordinates: (988, 517).” This is incorrect. 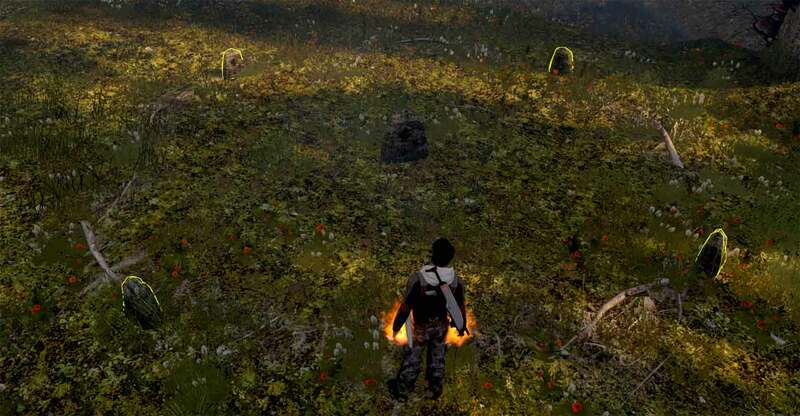 988, 517 is the location of the last ‘waypoint’ stone BEFORE the 3rd stone circle puzzle. The actual location of the 3rd set of Singing Stones is 1053,525. Ignoring for the moment the issue of why you would want to cure your friends in a salt solution, this is good advice for the hack-n-slash crowd. But, since this is an Investigation mission, I decided to try to run it as designed- solo, using my Mark IV, Mod 3 Eyeballs and simply infiltrating the swamp. I was able to easily avoid all confrontations. The one time I got a shade too close to something and aggroed it, I was able to just sprint away until it gave up and returned to… whatever fungal activity it had been doing. I ended up completing the mission without firing a shot or taking any damage whatsoever except a couple of points as I waded through the Filth pond just NW of the final circle. After I had completed it, I noticed with chagrin that I had forgotten to put on any HP gear, and had run the entire mission with 1970 HP. yes but did you have someone close to hug once you realized you JUST GREW TREES WITH MUSIC?!?! Tier 4 is bugged, the stones don’t display the pattern as they play (no glowing lights above the stones) and even following the guide on here doesn’t give completion. It’s also causing some wierd bug where my screen greys out as I walk around the circle. Sent a petition but I figured I’d post here while I wait. On the other hand, the guide should include tips on how to reset the singing stones when they are left in the middle of a sequence. It is possible this mission is bugged. I was grouped and until tier 1 everything was OK but after that tier no more stones lit up for none of us. Today I am solo and it is still bugged I think. Ran through this quest successfully but I think the lights are only visible at night? Also you missed Tier 4 final location which is 1055, 528.
hey for those of you saying the chart above does not work, just walk outside of the circle when the combo had been entered! that will confirm it and tell you if the combo is right or not 🙂 I felt so stupid when I figured it out 😛 I hope this helps! Verry buetyfull mission , and nice guide! Since all of the stones that need to be accessed are based on a N, E, S, W orientation. It would be much better to use those coordinates for the solutions. The walk-through at: http://wordpress.tswguides.com/singing-stones-investigation-mission/ is quite a bit better in that regard. I.E. for the Tier 4 solution, your guide placed me EXACTLY 180 degrees off.